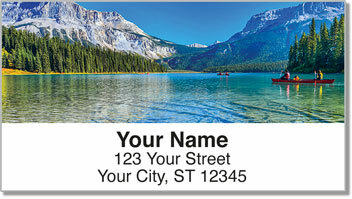 The majesty of the most recognizable mountain range in North America is capture through the stunning photography on these return address labels. Scenic shots of the Rocky Mountains were taken along the Canadian border in Montana. 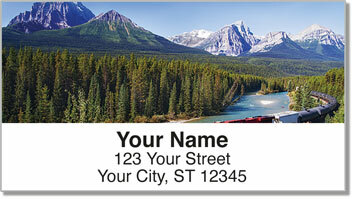 The images portray all the grandeur of the snowy peaks and lush green valleys of the Rockies. 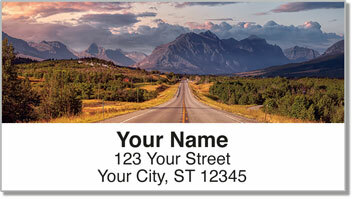 Rocky Mountain Address Labels from Check Advantage will bring the striking beauty of what's known as "the backbone of America's West" to every envelope and package you mail. Plus, the convenient self-adhesive backing will save you tons of time! 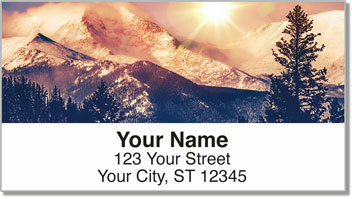 Get your own Rocky Mountain Address Labels now! You can also find matching personal checks in this same scenic design.